Using virtualisation technologies, your Virtual Private Server looks just like a dedicated server, it has a full operating system to which you have full root access. Using this technology it allows us to utilise server resource and intelligently allocate resources to ensure that your VPS has 100% access to resources 100% of the time. IPV4 & IPV6 address ready! All of our Virtual Private Servers are ready for IPV6 addresses. We have a large number of IPV4 addresses ready for each server and also offer IPV6 addresses for all of our Virtual Private Servers. Webreger.com provides a range of Virtual Private Servers solutions to clients worldwide. With our state of the art network, guaranteed uptime, build times of just a few hours 7 days a week, and the latest server and storage hardware we truly are hard to beat. Virtual Private Servers are Virtual private unlike Dedicated Servers which are completely private. Virtual Private Servers share hardware but come with their own operating system so they are completely customizable with full admin (root) control, and offer solutions for every type of user. Our talented UK server team currently provide technical support to customers worldwide, we have a strong presence in the UK and USA and are always on hand 24/7 should you require our help. Contact us today to discuss your requirements and to get started with your own personal, dedicated server. cPanel is a Linux-based web hosting control panel that provides a premier control panel for automating and simplifying server configuration, email, and website management. 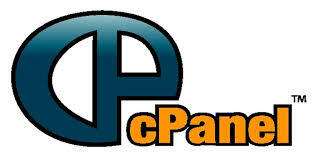 cPanel is built for everyone and is the most widely used control panel software for Virtual Private Servers. CloudLinux is a commercial Linux based operating system that implements features CentOS to enable system administrators to take fine grained control of their server's resource use. It allows you to control CPU and memory on a per user basis and delivers advanced resource management by isolating users, so that problems with one account don't degrade the service for others. CloudLinux virtualizes user accounts as LVEs (LightWeight Virtual Environment). Each LVE is allotted a certain amount of resources allowing you to fully manage each individual user. CloudLinux implements with a graphical user interface for cPanel making it easy to manage for all levels of experience. 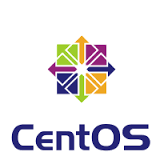 CentOS is a very popular community supported operating system that is a Linux distribution for web servers and an ideal starting point for cPanel installations. At webreger.com when we say our own datacentre we really do mean it's our own. We don't jeopardise our clients by relying on third party companies, all our servers are locate in our own datacentre. Our datacentre has been built using 21c IPP Tier 1 infrastructure and staffed 24/7. We have server engineers on hand night and day should you need them. * Acceptable Use Policy (AUP) Terms apply.